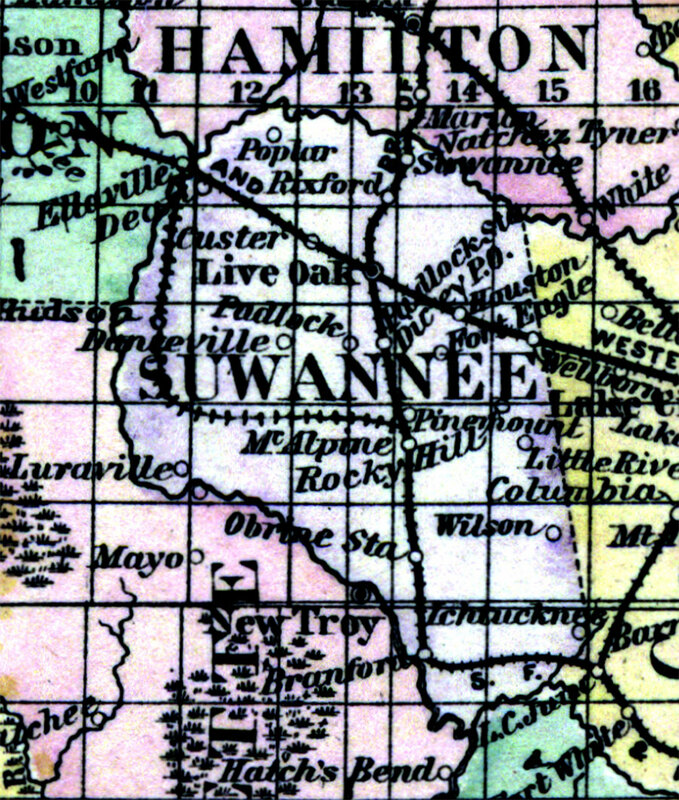 Description: This is a detailed map of Suwannee County, Florida showing the County Seat, major cities, roads, railroads, inland waters, etc. Township and range grid established from the Tallahassee baseline and meridian shows the extent of land survey in the county in 1886. Map scale is 1:1,800,000.